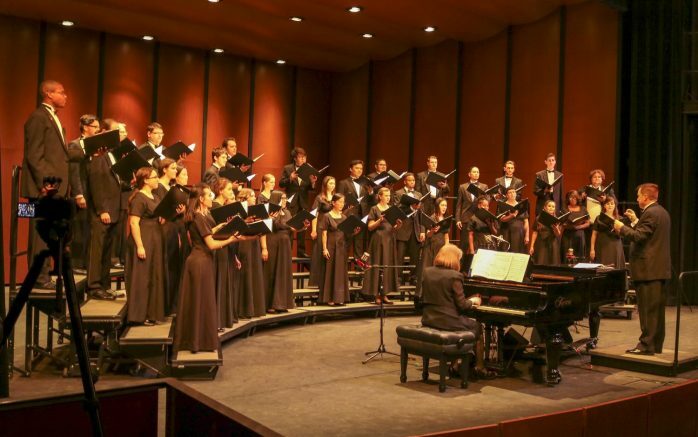 The fall choral Invitational Concert brought multiple school choirs together to perform one of their best concerts at American River College’s theater on Nov 6. Director Ralph E. Hughes used this opportunity to motivate students by giving information about a music scholarship program. According to Hughes, the concept of the Invitational Concert is an ARC tradition that’s been followed for decades to increase the experience of choirs and to support music students. Bella Vista High School, Del Campo High School, and Ponderosa High School were among the schools that had performers at the fall Invitational Concert. “It was wonderful to have the variety of choirs on this program — the American River College Chamber Singers and Concert were joined by three high school choirs from our area,” Hughes said. The ARC concert choir began the concert with a group of 16 students singing the first song “Blazheni.” The team was well-prepared and confident while on the stage. The choirs started preparing at the beginning of the fall semester, according to Hughes. “Our accompanist, Heidi Van Regenmorter, also teaches piano at ARC, and we are better prepared because of her support as a pianist and musician,” Hughes said. Dan Wishman is a music major and a member of the concert choir who was responsible for making connections between ARC’s chambers during their performance. “Dr. Hughes does a great job communicating on the conductor’s podium,” Wishman said. For Wishman, a large concert choir group is a way for music students to learn from each others’ performances. The concert was moved forward by the other three high school choirs’ performances. According to Hughes, the choir director plays a key role in making their team performance the best every year. After returning to the stage during their ovation, Hughes used the time to encourage the high school students by giving useful information about the music department and the costs of attending ARC. Ian C. Lorent, music major, said he enjoyed the concert more than he expected. “The performances were all lovely and unique, the singers were all fantastic, and the pianists were outstanding, which made for a very enjoyable evening,” Lorent said. 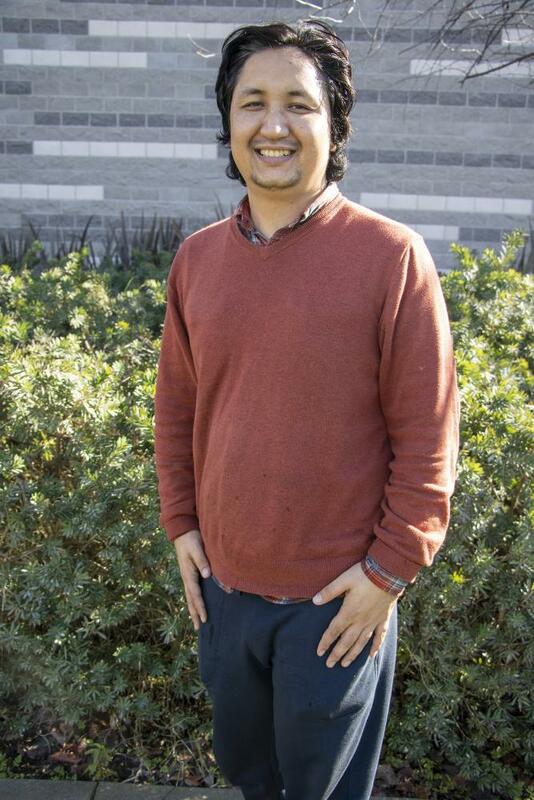 According to Lorent, concerts held at ARC provide experience for the performers and opportunities to the students such as him, to be motivated on his music major. Be the first to comment on "High school choirs join ARC fall concert"